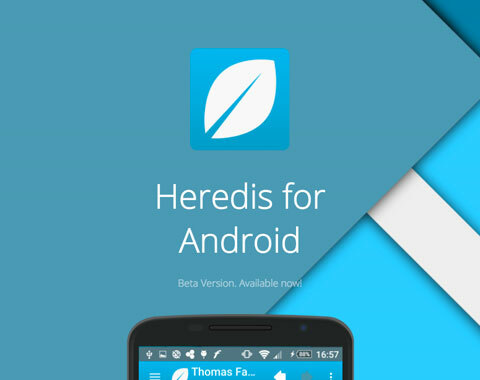 Discover the iOS and Android HEREDIS genealogy App. Looking for a family tree application for your tablet or phone? Discover the iOS and Android App for your family trees and your nomadic input. The software of reference in the world of genealogy, HEREDIS offers you the ability to take your family tree with you anywhere. 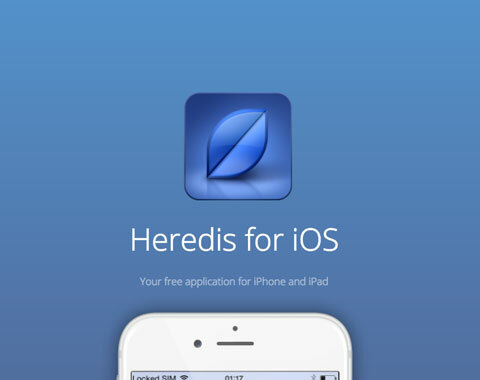 For your Android tablet or iPad to your iPhone or Android smartphone, the free HEREDIS application allows you to add and edit persons, send your trees by email and print, view and enrich media, view, navigate and share your family tree with your Mac and PC software. Changes made to your tree on one device can be updated on all devices. You can also import a GEDCOM file if your data has already been entered with other family tree software. At family gatherings, collect testimonials from your relatives, ask them to tell you anecdotes and memories of their lives. You can enrich your family tree with notes and photos. With the iPhone and iPad versions, write with your voice by dictating to Siri. The information on your ancestor is added directly to your family tree. It’s instantaneous. Always on iOS, Heredis automatically calculates birth dates from a birth certificate. You can enter dates in the Gregorian, Julian, Republican and Hebrew calendars. To download free HEREDIS family tree applications, click the version of your choice. These free genealogy applications are offered whether or not you are a user of HEREDIS.